Once he steps down as president of Brandeis, Jehuda Reinharz will become president of the Mandel Foundation, an internationally recognized philanthropy that provides leadership to non-profits in the United States and Israel. Morton L. Mandel, foundation chairman and chief executive officer, made the announcement today at a meeting of the foundation's Board of Trustees in Cleveland, Ohio. Mandel, who will continue to lead the foundation, said Reinharz is the first person to be named to the new position of president and will be his eventual successor and CEO. "President Reinharz shares the vision and passion that my brothers, Jack, Joe and I have for our philanthropic work," said Mandel. "We believe that exceptional leaders are the critical factor that enables organizations to contribute significantly to society. Dr. Reinharz brings a vast array of professional experience and a keen understanding of the foundation's current work worldwide." Reinharz, who became president of Brandeis in 1994, announced last fall that he will step down and a search for the eighth leader of the university is now under way. Reinharz will remain in office until a new president is selected and arrives on campus, or as late as June 30, 2011. Reinharz will also return to The Tauber Institute for the Study of European Jewry at Brandeis. The Mandel Foundation was established in 1953 by Jack, Joseph and Morton Mandel. The foundation focuses its philanthropic efforts in several areas: leadership, management of non-profits, higher education, Jewish education and continuity, and urban neighborhood renewal. Reinharz joined the Mandel Foundation Board of Trustees in 2005. "I have been on the board for several years and I have always admired the foundation's work in training leaders. I am honored that I will have the opportunity to work with the chairman to expand the foundation's wide-ranging philanthropy in education, in Jewish life here and in Israel, and in urban renewal. He added, "I have enormous respect for the Mandel family and all they have done at Brandeis and elsewhere, and I am looking forward to this great challenge." The foundation has made major donations to Brandeis, where the new Mandel Center for the Humanities will open this fall. It has also supported the Mandel Center for Studies in Jewish Education; fellowships in humanities, English and American literature; and chairs in Jewish education. In addition, the foundation has contributed to Case Western Reserve University in Cleveland; to the Mandel Jewish Community Center of Cleveland, to the Israel Museum in Jerusalem, the largest art and archeology museum in Israel; and numerous other organizations in the United States and Israel. The foundation has also been active in urban renewal in Cleveland. Barbara A. Mandel, the wife of Morton Mandel, has served on the Brandeis Board of Trustees since May, 2005. Reinharz received concurrent bachelor's degrees from Columbia University and the Jewish Theological Seminary, a master's degree from Harvard and a doctorate from Brandeis. 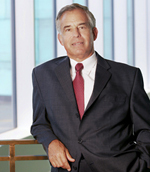 He is the author of 23 books and serves on a number of boards and advisory committees. Malcolm Sherman, chairman of the Brandeis Board of Trustees, congratulated Reinharz on behalf of the board. "We're very pleased for Jehuda. He's been a wonderful president of Brandeis and we greatly appreciate his commitment to the university as we work to select our next president," Sherman said.